Our Peer Advisors are current undergraduate business students. They play a vital role in helping to assist advising our first year students. You may also meet with one of them during open advising hours! They are highly trained and very knowledgeable students who all have a variety of experiences in student groups, studying abroad, internships, and leadership opportunities. The Office of Undergraduate Advising hires Peer Advisors every Spring for the coming academic year, please visit our Student Employment page for more information. What I Enjoy Most About Being a Business Student: As a business student I enjoy the diverse curriculum presented to me. I like being able to learn about general topics in addition to business. Within the business classes, I enjoy the wide variety of subjects I am exposed to, such as accounting, management, finance, and marketing. Fun Fact: I have been out of the country 8 times. What I Enjoy Most About Being a Business Student: I love receiving the weekly emails filled with internship and job opportunities specifically available for business students! Whether it's from the emails, going to Career Mondays every week in the atrium, or by attending job fairs, there is never a lack of opportunity to meet and network with new employers, and apply to companies seeking to hire UConn business students! Fun Fact: I lifeguard every summer at the most beautiful beach in Connecticut! What I Enjoy Most About Being a Business Student: I enjoy how as you continue to take classes, you begin to see the same people and start to make friendships. It's very encouraging to be around so many determined and focused individuals, as I find that it pushes me to work even harder. Fun Fact: I really love fashion! What I Enjoy Most About Being a Business Student: I love the wide range of business classes I get to take as an undergraduate that assist me when I’m talking about current events with my peers. Fun Fact: My favorite memory from UConn was going skydiving my sophomore year! What I Enjoy Most About Being a Business Student:I really enjoy the people in the business school. Taking classes with the same group of students over time really allows you to get to know people and make awesome friends. The classes are challenging but rewarding and the professors are extremely intelligent and helpful. Also, not scheduling classes on Friday is always a plus! Fun Fact: I'm a big classic rock fan, and the best concert I've ever been to was either Aerosmith or Tom Petty. 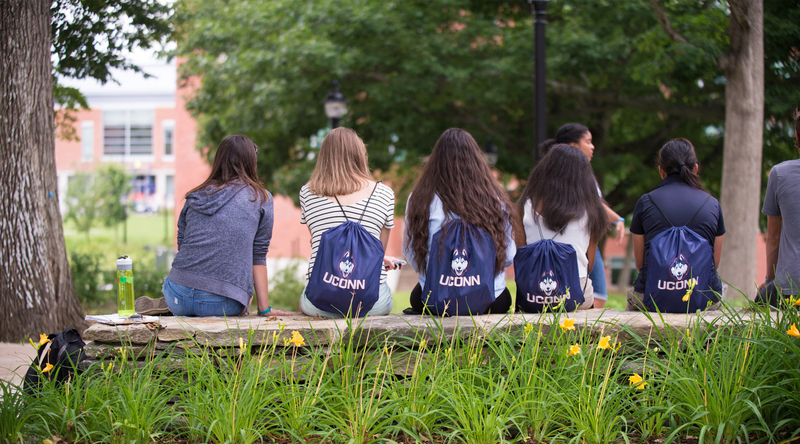 What I Enjoy Most About Being a Business Student: Being a business student here at UConn has provided me with the tools to grow immensely both professionally and personally. I am constantly challenged to develop my critical thinking skills, as I apply myself to real-world scenarios that I will surely face in my future career. In addition, there are always networking opportunities with other students, faculty, alumni, and employers that foster the formation of lasting connections that will ensure my success. I know that once I graduate from the School of Business I will beyond prepared to take on a position in the marketing field. Fun Fact: I can play three instruments! 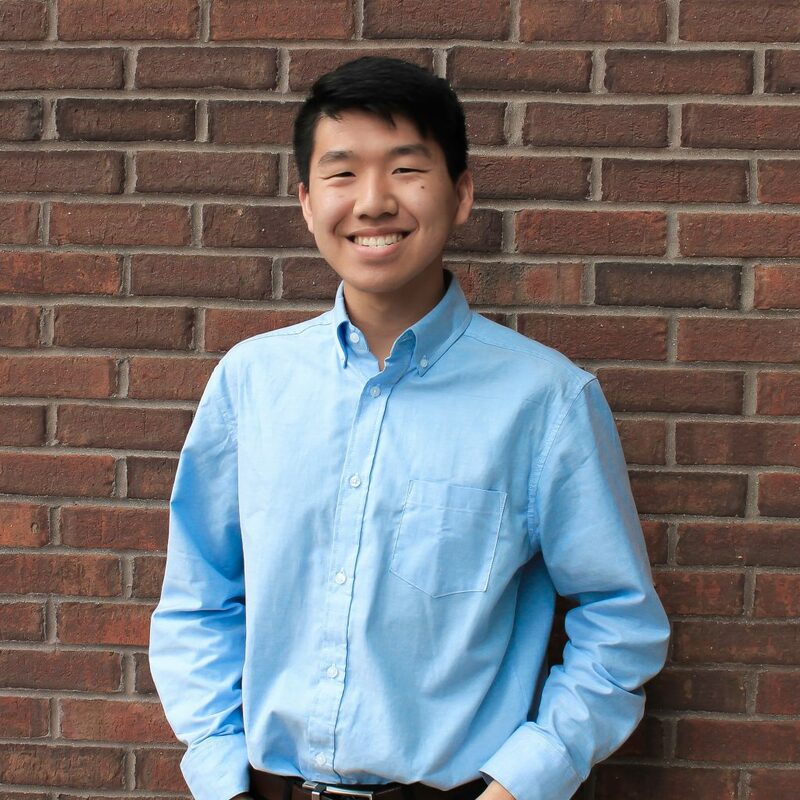 What I Enjoy Most About Being a Business Student: I love being a business student because I believe the UConn School of Business truly cares for its students as it provides us with many academic and professional opportunities to ensure that we can reach our utmost potential and achieve success. Such opportunities help us develop as young adults and even gain a competitive edge in the real world as compared to other majors and universities. Fun Fact: I love traveling and fitness and a silly fun fact is that I can tie a knot with 4 fingers! What I Enjoy Most About Being a Business Student:I love that UConn business students share a similar intrinsic motivation to be successful. Fun Fact: I have traveled to over 13 different countries around the world, and I hope to be able to visit at least one country on every continent. What I Enjoy Most About Being a Business Student: Learning about how concepts of business and economics influence our everyday lives and the world around us. Fun Fact: I spend most of my free time either at Trivia Contests or playing Trivia with friends. What I Enjoy Most About Being a Business Student: I mostly enjoy the wealth of resources the Business School has to offer from company connections to practice interviews and advising. The Business School is constantly evolving to meet the growing needs of its students which provides a challenging, but equally rewarding, academic experience that prepares you to apply skills developed in the real world. Fun Fact: I studied abroad in Amsterdam last semester (Fall 2018) and traveled to 12 different countries during my stay! What I Enjoy Most About Being a Business Student: I love being a business student for so many reasons. Not only is the business world in a lot of ways the foundation for the world we see around us, the industry is changing and growing at an incredible rate. Being a business student not only prepares you to enter this exciting industry, but it also allows you to learn about and grapple with new ideas and concepts that could shape the industry itself. Fun Fact: I have run two marathons! 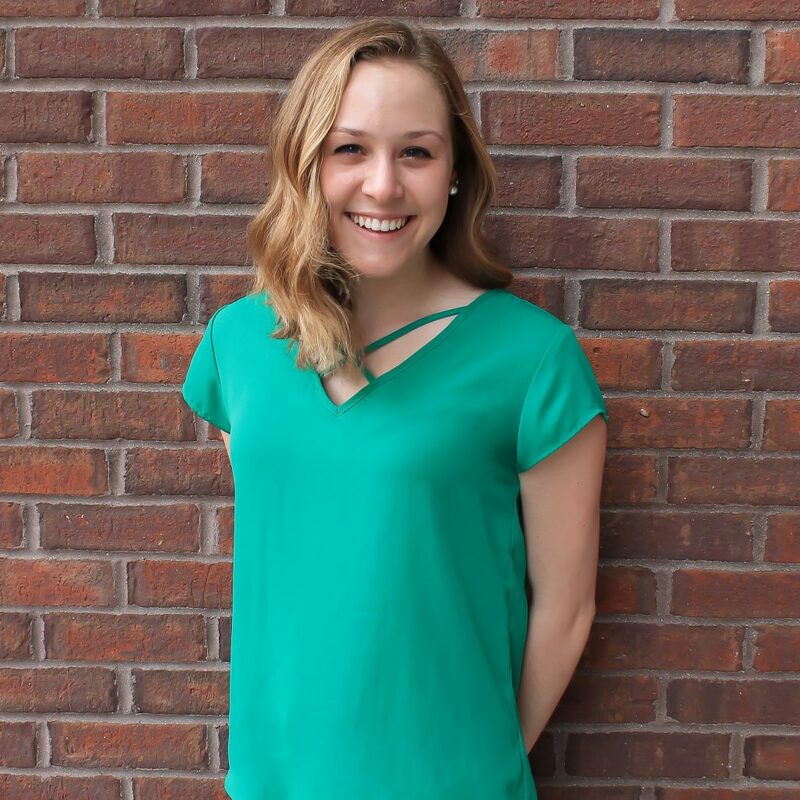 What I Enjoy Most About Being a Business Student:As a business student, I enjoy having the never-ending opportunities to develop myself on a professional and personal basis while also having the support of my professors and peers. The School of Business has also provided a lot of guidance and many of the tools that I need to succeed, and with that, I can confidently say that I am ready to enter into the real world. Fun Fact: I once nursed an abandoned baby squirrel back to health. What I Enjoy Most About Being a Business Student: Having the opportunities to constantly grow and learn about the world around us. Fun Fact: I hate cheese, but...... I can finish a whole cheese cake in a day! What I Enjoy Most About Being a Business Student: The professors link the concepts we are learning about to real world examples. Which makes it more interesting and understandable. Fun Fact: I have been skydiving three times! What I Enjoy Most About Being a Business Student: I love the real life experience you receive from taking business classes. Fun Fact: I love old movies like Breakfast at Tiffany's with Audrey Hepburn. What I Enjoy Most About Being a Business Student: I love meeting passionate and intellectual future business professionals. It creates a diverse community for holistic learning. Fun Fact: I've visited 10 countries and hope to go to many more.